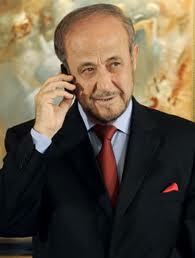 Rifaat al-Assad, brother of former Syrian president, Hafez. Nice piece from Robert Fisk – an interview with the son of Rifaat al-Assad, brother of the former Syrian president, Hafez. According to this article Rifaat is now living in London – not that Fisk is holding out much hope of an interview.